Guitar Player magazine’s September issue features a Q&A with Gretsch artist Paul Pigat. Although known mostly as a rockabilly artist, Pigat can play anything from jazz to punk music. “I love it, and it’s been the thing I’ve done the longest, but I wouldn’t call it defining,” says Pigat of rockabilly. The Gretsch-wielding player also explains that his gear preference depends on what genre he’s playing. 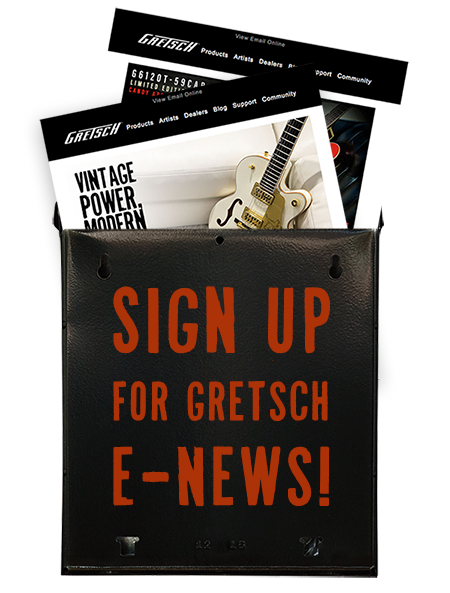 “If I’m doing rockabilly, then Gretsch is usually my first call,” he tells the magazine. Specifically, Pigat’s model of choice is the two-tone Gretsch G6196TSP-2G Country Club played through his Gretsch Excecutive Amp. Pigat currently has a handful of shows on the books in his native Canada. Check out tour dates here and visit Guitar Player here to read the full article.